SendX is cloud based SAAS platform that helps you do email marketing automation and lead generations for your web business. "Great little package - Does everything in one and is easy to use"
In my opinion this packages’ biggest asset is its customization. With just a few clicks you can create some beautiful looking emails. It also gives you full control over which segments of your email list you want to contact and even the time the email should go out, tailoring it down to factors such as the individual’s time zone. This has been really effective as I have been able to schedule my emails so they appear in the inbox at the times they are most likely to be checking in their emails (e.g. such as in the morning for their time zone, rather than midnight). Another big benefit of this package is that it combines several functions of other packages. For example, you can make landing pages, pop-ups and offer downloadable gifts. With other email newsletter apps, you would have to use other packages to get these features, so it’s nice to have them all in one. The customer service is also excellent. In my opinion, the only complaint I have is that there doesn’t seem to be away to remove the SendX logo from my emails. Although this is only a minor irritation. The package comes with a 14 day trial, which is plenty of time to check out if it is right for you. You can also easily import your contacts from other servcies. I use it in my business for sending out email newsletters. It's much better as one package does everything. Thank you for taking the time to review SendX. We deeply care customer feedback and a public review like this makes our day! If you ever face any issues, please do not hesitate to reach out to us at hello@sendx.io . "Extremely useful for email marketing automation"
I was introduced to the SendX tool through ProductHunt. I signed up for the demo instantly. Got amazing support from the community manager Mayank. They helped me setup the tool. Setting up drip campaigns is extremely easy and it is extremely easy to import/export contacts and setup campaigns. I can tell that this is easily among the best of all similar tools available in the market. If you're looking for something that is easy to setup and does not take a lot of time to learn, you should definitely try this. Thank you for giving SendX an ALL STARS review Jitesh! Also, we are deeply thankful to you and the entire Drivezy marketing team that helped us with product feedback constantly. "Nuturing leads made easy by Sendx. " We are an Ed Tech company. After testing out SendX for 1 month it was clear that this is the right system for us. We went ahead with the full implementation and did a deep integration of SendX with our in-house CRM. The tech & support team at their end was very helpful and provided almost instant support for most of our queries. Post this we have been using SendX for nurturing our leads and users based on their category of interest (courses). Finally our marketing automation initiatives are paying off with SendX and we see a clear ROI with them. 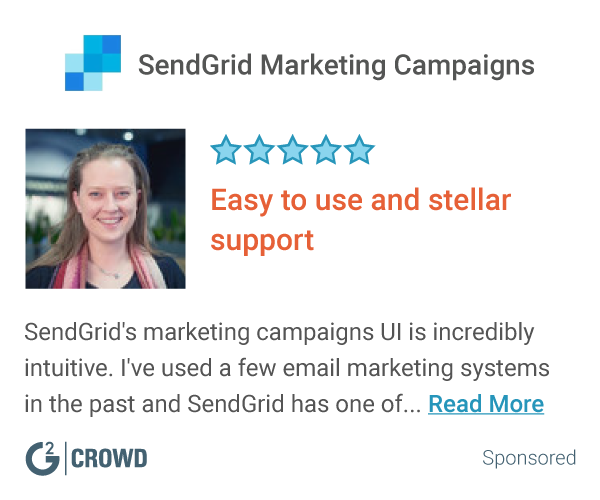 I would recommend anyone who has a marketing automation use case (like ours - EdTech) to try out SendX." Not as dislike. Sendx can increase the no. of templates for landing pages and email templates. They are increasing it. I am sure in 6 months they will increase. Lead nurturing, Drip campaigns, Email automation. This has increased our revenue drastically. Thank you for giving SendX an ALL STARS review, Jayarajan! We heard your feedback and SendX now offers 50+ free responsive email templates inside the product :). But, we didn't stop there, we also created the biggest email templates collection for anyone to explore free templates - https://www.sendx.io/ultimate-free-email-template-collection and open sources all our premium templates https://www.sendx.io/email-templates. "Game changer for all-in-one marketing automation"
Great value for complete marketing automation. Perfect for small businesses looking for automation tools such as landing pages, leadflows, embedded forms, email marketing, drip campaigns, etc. at a fraction of the cost. Knowledge base incomplete - still needs work. Need more integration options for email tracking analysis/data points. More access right controls to allow for third-party users (e.g. freelance consultants). For the cost, SendX is hard to beat. I have yet to find a similar marketing automation tool with the same breadth of features at this pricepoint. The open API and growing list of integrations is the icing on the cake. SendX has allowed us to run marketing automation at a fraction of the cost. Was pleasantly surprised by the depth of the features - everything from the built-in landing page templates and leadflows to direct links to copyright-free images. There is a slight delay with the time difference but the support team is knowledgeable and extremely helpful. Thank you for giving SendX an ALL STARS review! Also, I am happy to inform you that SendX now natively integrates with 25+ software. This along with our public Zapier integration allows you to connect SendX with 1000+ apps. We have also improved our Knowledgebase. It now hosts 150+ help articles that can get you up and running in no time :). Let me know what do you think now? "Draw traffic to your website instantly with SendX"
One of the best ways to stay up to date with direct email marketing and grow your email subscribers. The analytics are easy to understanding to get a grasp on exactly how well the email performs and responds to click-thrus. Even for a startup company, SendX's price is budget-friendly. This was a great way for us to draw instant traffic to our website. It has a cloud, SaaS, and web based deployment for ease of access. The comprehensive widget builder is also very helpful. While it is relatively budget-friendly, it is still a large investment that has various pricing packages. I really have no complaint other than consolidating membership prices to only one option, and having bonus options for long-time paying members. For tax and budget reasons, my company tends to always prefer annual memberships over month-to-month. Look at all the pricing options of other competitors and do your own research. SendX was by far the best option for my team to use for both lead generation and increase of subscribers. The drag & drop editor and list segmenting features were much better than some of the competitors I have used with other teams in the past. Driving business to the website almost immediately from sending out email campaigns from SendX. Thank you for taking time to review SendX. We keep experimenting with our pricing plans. As for now, we have two plans but the base plan includes almost all the features (as recommend in your reviews). Also, the annual plan now comes with a flat 25% discount. Also, we have recently reduced our pricing making SendX much more affordable for everyone. The annual price start with just $7.49 /month paid annually for upto 1000 subscribers. Do you check out the detailed pricing at https://www.sendx.io/pricing . Being one of the early users of SendX, we have been using it to increase our inbound funnel through the drip automation. All our outbound drip campaigns go through SendX. Really like their email deliverability they offer. We've recently started using Web Optin Forms and excited to try their Segment based automation. We have been seeing good results for the different experiments we have been running through SendX and soon looking to scale up some of these. Anyone who hasn't tried it yet should give it a go. Great to see the team dedicated to making marketing automation super simple and impactful. Thank you for giving SendX an ALL STARS review Kabandi! Also, we are deeply thankful to you and the entire Omnify marketing team that helped us with product feedback constantly. I've been using SendX for about 11 months now. Can't speak highly enough about it. I was looking for an alternative to MailChimp - it's easier to use, and with more features. I think most impressively, the support has been excellent. Never waited more than 30 mins for a response, and I've seen a constant stream of quality features added. Really recommend." There's a few areas of the user experience that could be improved (e.g. making it easier to add a contact from the dashboard) - but I've passed these onto the team and I'm confident they will be improved. I'm now using SendX for monthly email updates, and for automated email marketing. Thank you for giving SendX an ALL STARS review Steven! Also, we are deeply thankful to you for helping us with product feedback constantly in the initial days. I can create sophisticated email marketing campaigns. I'm able to plan my launches. I've been able to generate more sales because of this. The team are also superb - helping me with my requests very quickly. I'm barely scratching the surface as far as using the software to its fullest extent. Not much. I've had very occasional issues but SendX fix them immediately! Try it. Speak to the guys who run it. They are so helpful. Thank you for giving SendX an ALL STARS review, Jon! "A program to NOT miss." The beautiful thing about SendX is the simplicity. The ease of use and tabs are beyond accessible, allowing the user full-access with little boundaries. Connecting with other users can be tricky, at first, but with a little practice things grow like breeze. The ability to reach many people on different platforms, no matter what or where. "So far we have been pretty happy with the service and the speed with which the product is evolving"
A special mention to the recently launched Drag and Drop editor that has made designing beautiful looking responsive emails really easy. List segmenting has been made very intuitive and easy too. There should only be one paid version of a mailing service and campaigns should autosave on creation / edit. Targeting consumers with timely campaigns through segmented lists. Thank you for taking the time out to review SendX. We keep experimenting with our pricing plans. As for now, we have two plans but the base plan includes almost all the features (as recommend in your reviews). Also, we now have autosave in our editors by default. It's a great tool to have for email marketing! We are reaching more prospective and current clients. Our opened email percentage has increased. We deeply care customer feedback and a public review like this helps us improve our product and service. We heard your feedback and have reduced our pricing significantly. The pricing starts at $9.99/ month OR 7.49 /month (paid annually). You can check the latest pricing here - https://www.sendx.io/pricing. "A great alternative to other programs"
They've immediately responded to my support requests. It's a treat! It has tons of functionality. The team are so supportive. There are a few tweaks I would make for ease of use (e.g. ability to add a new contact from the dashboard).For a mailing service, there should be only one paid plan and campaigns should auto save while creation. You're not alone. If ever you are stuck you have a team behind you waiting to help! Customer onboarding and marketing activities are simplified. "User friendliness is the key." The development and support is amazing. The deliverability in the issue resolution is handled great and the solution is developing in an amazing pace. Automation. The drip sequence can be made even better. Definitely an option for email marketing services. Customer onboarding, newsletters and update mails. Also, I am happy to inform you that we have revamped our automation and drip modules significantly :) . Do let us know what do you think about it now? "Awesome platform for marketing and affordable." Fast Email delivery. Powerful segment builder. UI is not user-friendly. there is not for the integration. I use zapier. It needs to add some more usercase for a complete application. Thank you for giving SendX an ALL STARS review Nuno! We deeply care customer feedback and a public review like this makes our day! * We monitor all SendX reviews to prevent fraudulent reviews and keep review quality high. We do not post reviews by company employees or direct competitors. Validated reviews require the user to submit a screenshot of the product containing their user ID, in order to verify a user is an actual user of the product. Hi there! Are you looking to implement a solution like SendX?